Where to start really, especially since this is such a tie. Deciding between these two characters has proven to be extremely difficult and saving them for the last has allowed me to really focus on a lot of other great characters from the previous months. Gail and Walter’s Red Sonja has gone on many of the lists that I’ve done this year. Its been regularly on my monthly Reading Awards list, the first six issues (collected soon) made it on my Best Graphic Novels list for 2013, and the series also made my Top 5 New Comics of 2013 list as well. Their Red Sonja (reviews of #1, #2, #3, #4, #5, #6) has been nothing but extremely entertaining in all respects, whether writing or the artwork. 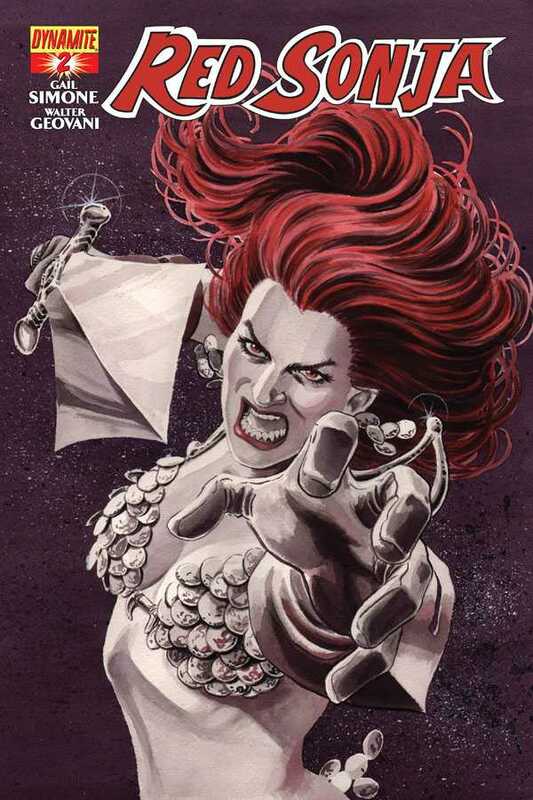 Aided by all the fantastic covers done for the series by an incredible line-up of female creators and with some really great colours by Adriano Lucas and letters by Simon Bowland, Red Sonja has become a series close to my heart because of how Sonja has been portrayed. Devoid of any sexualisation that focused on her bodily attributes, the series has been a great character study, and then some. Its really given me a window into the original world created by Robert E. Howard ages ago. Red Sonja is a great pulp character and the creators have done their utmost best to bring her in line with a modern sensibility of story that pays respect to what’s come before and is still its own thing. Red Sonja has been pretty much everything in this comic, and I really couldn’t have asked for anything better. With Jack, like I’ve said in my reviews (#1, #2, #3), I was an avid viewer of the comics and this series has pretty much been a great nostalgia trip, more than Red Sonja has been because I have a much longer connection to the character, much more visceral and direct too since I saw those cartoons growing up, with all the childish wonder and appreciation that you can think of. Jim and Andy’s work on the series has been more than stellar and they definitely deserve a pat on the back for turning out such a great comic only three issues in. The scripts are entertaining and the artwork even more so since it is true to the style of the cartoons and doesn’t deviate from that, if it does at all. And that’s to Andy’s credit, as well as to Josh Burcham’s colours and Shawn Lee’s letters. 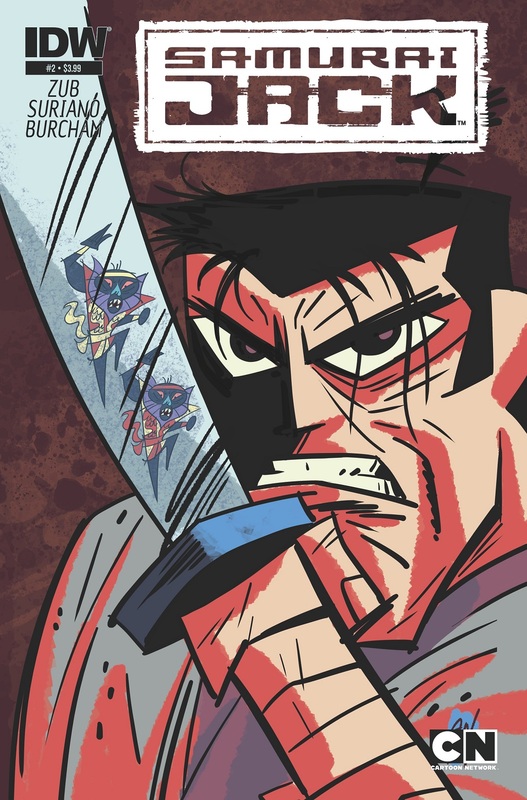 As with Red Sonja, with these creators Samurai Jack has really come together for some great excellence, and it deserves a lot more recognition. IIRC, the first issue is already in its second printing and might as well be in for a third printing soon. IDW has done great to bring together this creative team for such a great property so kudos to all. Posted on January 5, 2014, in 12 Days of Best SFF Characters of 2013, Book Lists and tagged 12 Days of Best SFF Characters of 2013, Andy Suriano, Book Lists, Cartoon Network, Dynamite Comics, Fantasy, Female Protagonist, Gail Simone, Heroic Fantasy, IDW Publishing, Jim Zub, magic, Pulp Characters, Red Sonja, Samurai, Samurai Jack, Swords and Sorcery, Techno-sorcery, Walter Geovani, Warrior Women. Bookmark the permalink. Leave a comment.